Mediterra in Naples, Florida is located just south of Bonita Beach Road and west of Livingston Road, this is a great are with easy access to both Naples and Bonita Beach. This luxury community consists of a large variety of Luxury homes and condos, from high-end luxury homes to single-family homes, surrounded by well maintained tropical landscaping with a Mediterranean flair. There are two golf courses in Mediterra, both designed by Tom Fazo, who has designed over 120 courses and has more golf courses ranked among the top 100 in the U.S. than anyone else in the business. This is a gated golfing community set on over 1695 acres with around 950 homes, a large part of Mediterra has been designated as a natural preserve, so there is a general feeling open space. The Plaza is the heart and center of the community, featuring a 25,00 square foot clubhouse which offers a state of the art fitness center, spa, outdoor swimming pool and tennis facilities. 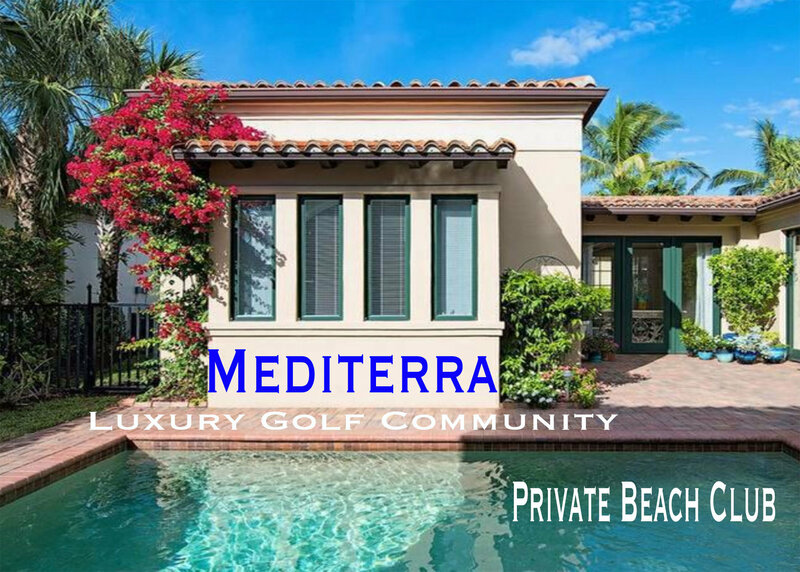 For help finding the best Naples homes for sale and the latest Mediterra Real Estate listings - Contact us, we will do our very best to help you find the perfect home!